Wedding receptions are supposed to be fun and lively. 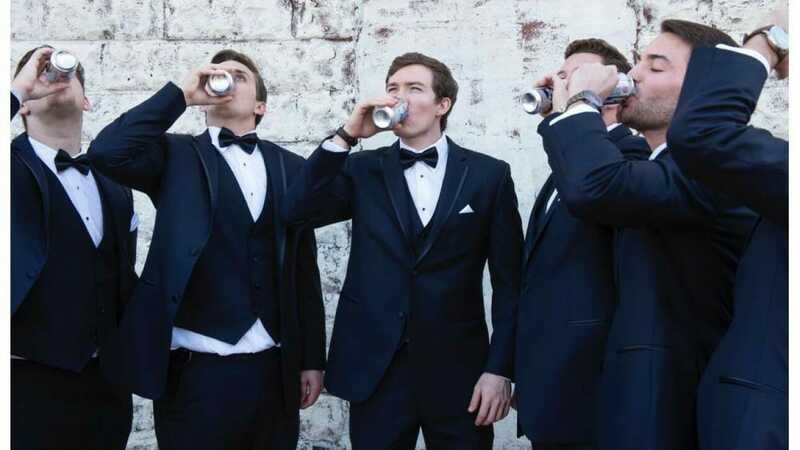 As a couple, you need to come up with fun entertainment ideas for your reception so that both you and your guests would totally enjoy your big day. Here are some unique wedding reception activities that you could try out at your wedding reception. “Perform a karaoke version of a popular song” and so on. 2. A photo booth: A photo booth is a good way to keep guests entertained at your wedding reception. Your guests could enter the photo booth and take pictures of themselves striking funny poses. These pictures could be kept as souvenirs or keepsakes and would definitely strike fond memories in the hearts of your guests. Also, you could make funny costumes available in the photo booth for your guests to put on and take pictures. A clown nose, a cowboy hat, a fake moustache or a 90s themed wig are all great ideas. 3. Temporary tattoo booths: At your wedding reception, you could create booths where your guests could get amazing temporary tattoos on their bodies. They can pick out different designs and get them on any parts of their bodies. Bonus points if they glow in the dark! It’s a sure way to keep you and your guests really entertained. 5. Trivia cards : At your wedding reception, you could lay out trivia cards on the tables for guests to fill in and answer. The questions could be about you and your partner. It’d be a fun way for your guests to test how much they know you. Similarly, you could include mad libs. Write out some fun facts about you and your partner, leaving blanks in strategic places. Your guests can fill in the blanks and would definitely be entertained. 6. Fun booklets : You could lay out booklets on all the tables for your guests to write in. The booklets could be about date night suggestions. Your guests would drop creative, funny suggestions for dates that you and your partner could go on. Similarly, they could drop hilarious messages for you and your partner in those booklets. If you are trying to make your wedding reception as unique and lively as possible, then you should certainly try out one or more of these fun wedding reception games. It would definitely make your big day different from the norm!